Home » Category archives "All Saints Church"
The Centenary anniversary of the end of World War One has been marked in Wreningham with a service of Remembrance, a wreath laying, the installation of a soldier’s silhouette and the ringing of the Church bells to remind people of the sacrifices made. The service of Remembrance at All Saints’ Church on Sunday November 11 was lead by Canon Martin Smith. The names of the war dead from the various parishes within the Benefice were read out by representatives of the community. A two minute silence was held by the 40 people attending. Canon Smith’s sermon on the necessity of Remembrance drew on his many years’ experience as a priest and RAF padre. The collection for the British Legion amounted to £121. 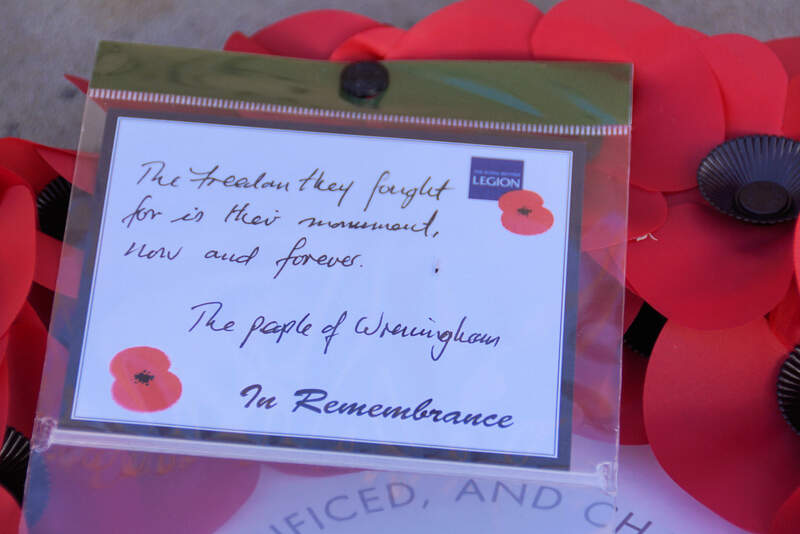 Immediately after the service the congregation was led from the Church to the war memorial in the graveyard beside Church Road by Michael Hill, chairman of Wreningham Parish Council. There, when everyone had gathered around, Canon Smith recited a prayer, Michael laid a wreath on behalf of the villagers of Wreningham, and all stood in silence for a few moments of contemplation. All Saints’ Church bells were rung for five minutes from 12.30pm, as Big Ben in London stuck 11, at the start of the international bell-ringing to mark the Armistice. Another reminder of the sacrifices made during past conflicts is the black silhouette of a soldier which has been erected on the Reading Room grass area by the village sign in the centre of the village. 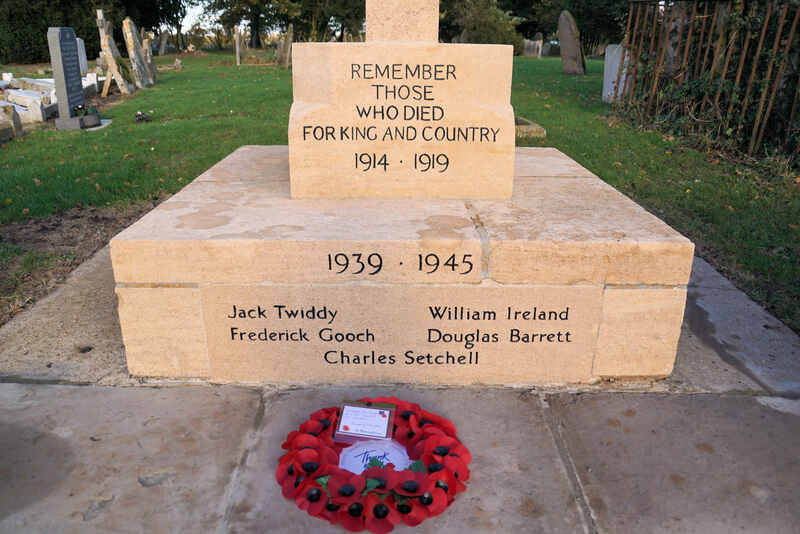 The war memorial has recently been cleaned and restored thanks to a grant from Wreningham Parish Council. 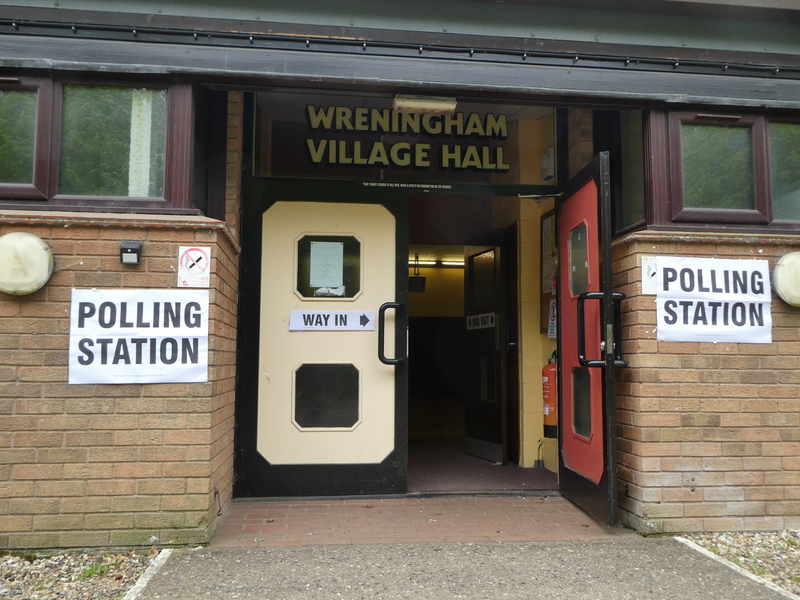 “Wreningham church would like your help. 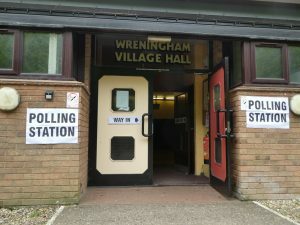 Our church is normally unlocked during the day time and we are always pleased when people visit providing they respect what it stands for. However, we have recently had a visitor who was really not welcome or needed.